Ron and Maggie Tear Photography: Taxi, Beckham. Modern day taxi's advertise to collect extra revenue. 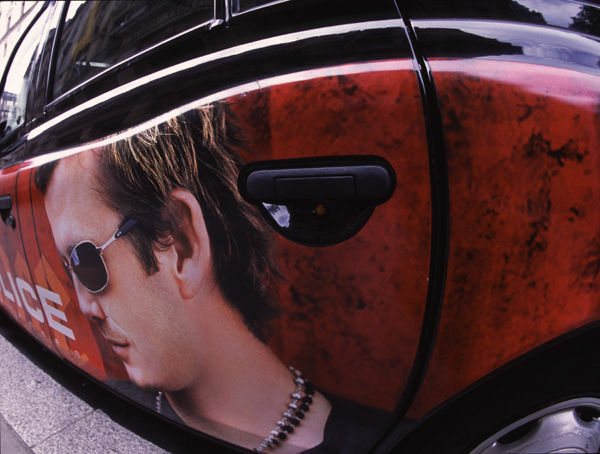 They have fascinating designs, on this vehicle a David Beckham with designer glasses. Taken with a fish exaggerating perspective.